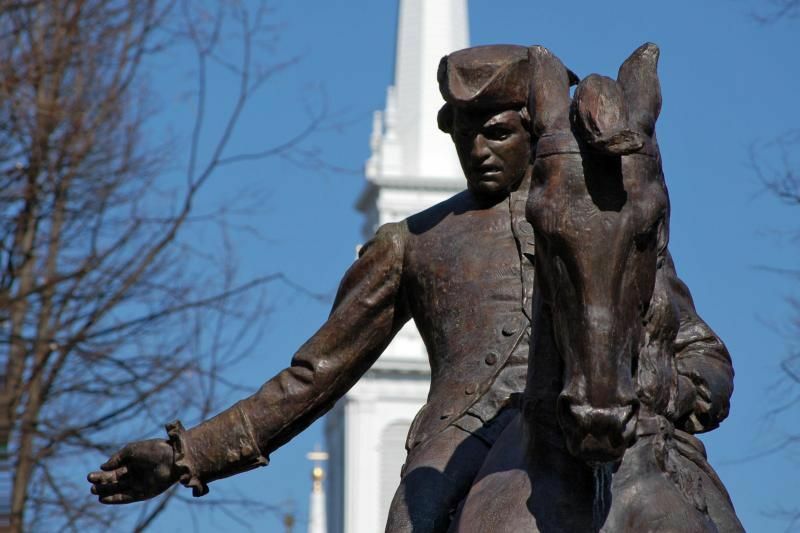 Known as: Capital of Massachusetts (MA), ‘Beantown’. 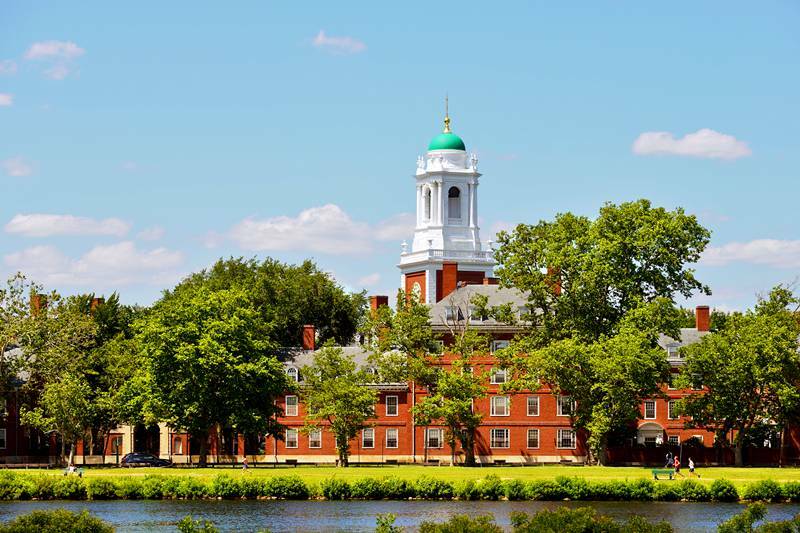 Nicknamed ‘Beantown’ for its famous baked beans dish, Boston has many things to offer to its many visitors: Symphony Hall, with Boston Pops orchestra, Fenway Park, home of Red Sox baseball team, Museum of Fine Arts, Museum of Science and Isabella Stewart Gardner Museum. 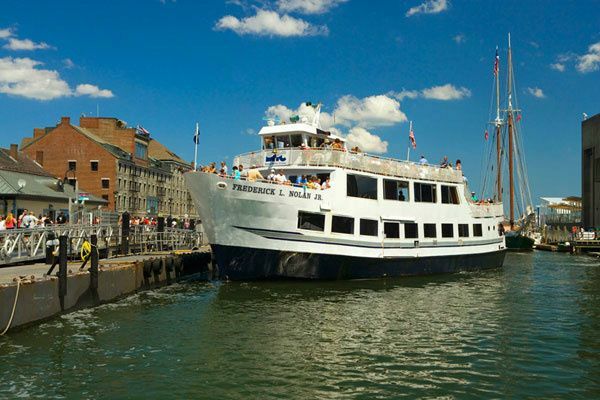 For leisure time there are several areas, such as: Public Garden, large park in the heart of Boston; Newbury Street, with high end shopping and art galleries; the Waterfront, seaside area great for walks and casual dining, and the North End, Italian district with eateries and historic sites. Freedom Trail. A 2.5 mile (4 km) route going through downtown Boston with 16 historic sites, such as meetinghouses, churches, burial grounds and museums. Faneuil Hall Marketplace. Three historic markets within an indoor-outdoor shopping center. Boston Common. Large, about 50-acre urban park, the oldest one in the United States. North End. Historic part of Boston, known also as Little Italy, with narrow streets, restaurants and shops and several historic sites. Fenway Park. The oldest baseball park in the US, home of the Red Sox. Also, a concert venue. Museum of Fine Arts. The fifth museum by size in the US, it hosts vast collection of impressionist art and ancient Egyptian treasures. Beacon Hill. 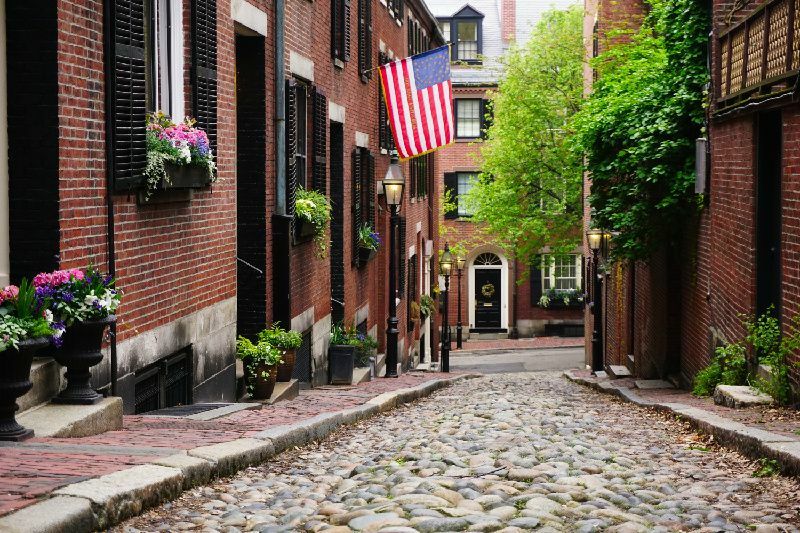 The famous Boston neighborhood with red brick sidewalks, cobblestoned streets, elegant townhouses and old-time gas street lamps. New England Aquarium. Large aquarium with over 2,000 sea animals. Also, there is IMAX theatre and whale watching show. Back Bay. High-end shopping and dining, fashion chains, art galleries and posh cafes in elegant brick house preserved area.Boston Harbor. A natural harbor and estuary of Massachusetts Bay, and a major shipping facility. Historically famous for Boston Tea Party. Top things to do. 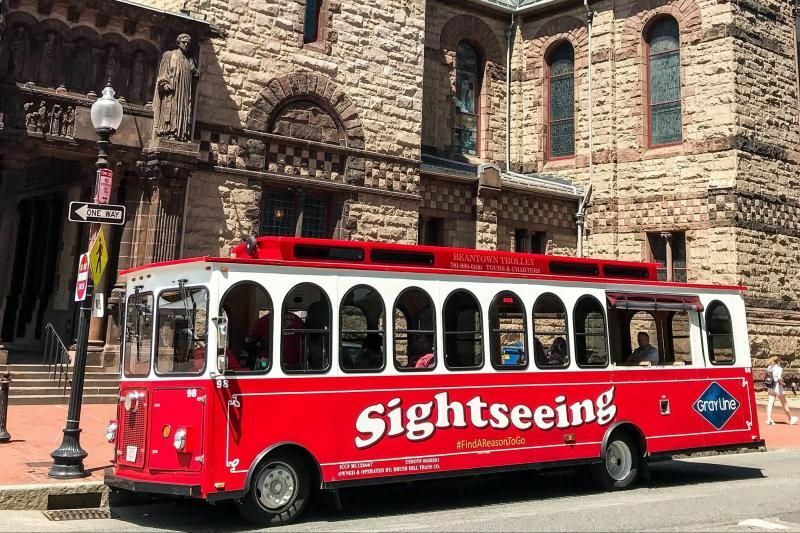 After you visit all attractions listed above, you can try and do following: take a Boston Photo Tour as you will have memorable pictures of your visit, especially in historic areas, take a historic cruise of Boston, go on a pizza tour in the North End or take a day trip and visit Cambridge, Lexington, and Concord. You can also rent a bike (or a hybrid bicycle) and go for sightseeing by yourself. Plymouth Thanksgiving (November), Tree Lighting Ceremonies (December), Lights in the Garden (December), Chocolate Festival (January), Several Valentine Themed events (February), Garden Show and Film Festival (March), Design Week and Earth Day (April), Beer Festival (May), Concert in the Park and Fireworks (June), Medieval battle in the park (July), Seafood Festival (August), several music festivals (September), Several Halloween events (October). More information about Boston’s festivals and events. Best time to fly to Boston. The peak season for flights to Boston is May, June and July. The low season for purchasing tickets is January, February and October. Boston is served by these airports: Pease Air Force Base (PSM) and Logan International Airport (BOS). Direct flights to Boston are offered by 26 airlines. Boston had first subway in the US – Tremont Street Subway. The Boston Cream Pie is the official dessert of the state. The first Thanksgiving Day was celebrated in Plymouth in 1621.